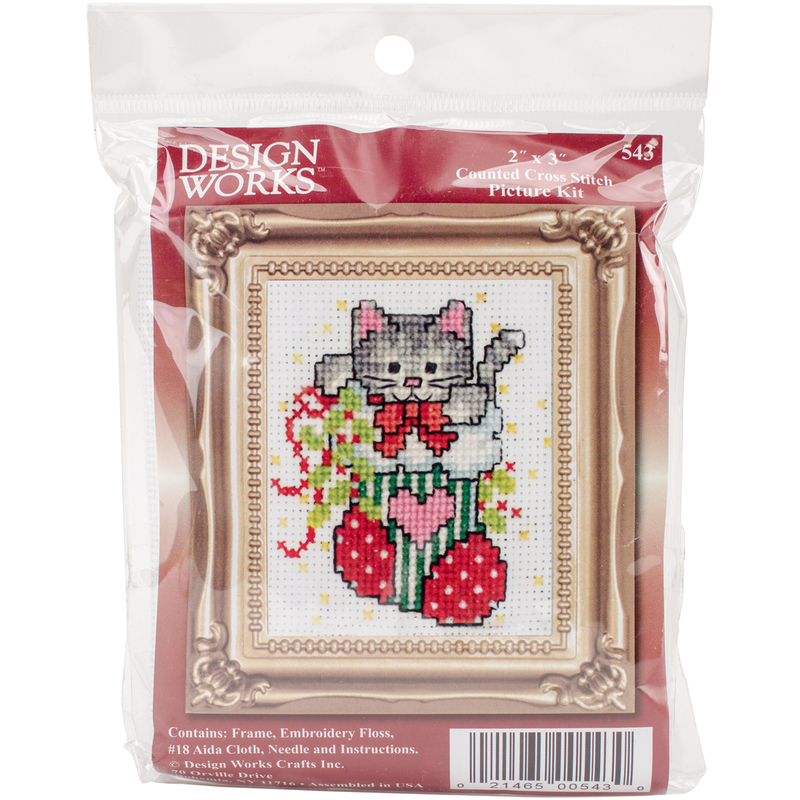 Design Works-Mini Counted Cross Stitch Kit. Beautiful designs and top quality materials make Tobin one of the top cross stitch kit makers worldwide. This package contains 18-count Aida cloth, embroidery floss, one 4x3-1/2 inch frame, one needle and instructions. Design: Stocking Cat. Finished size: 3x2 inches. Made in USA. • Design Works-Mini Counted Cross Stitch Kit. Beautiful Designs And Top Quality Materials Make Tobin One Of The Top Cross Stitch Kit Makers Worldwide. This Package Contains 18-Count Aida Cloth, Embroidery Floss, One 4X3-1/2 Inch Frame, One Needle And Instructions. Design: Stocking Cat. Finished Size: 3X2 Inches. Made In Usa.